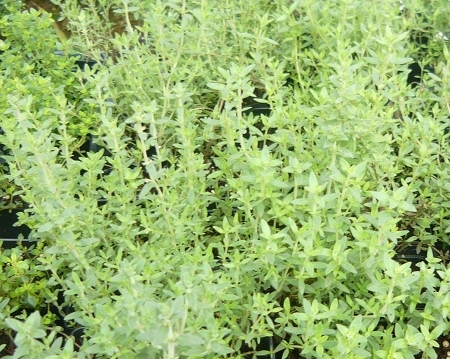 Orange Balsam Thyme - Good culinary and tea variety of thyme with a citrusy orange scent and flavor. Upright bushy form with slender gray-green leaves, good container plant. Perennial zones 5-9. Live plant in 3 inch container.